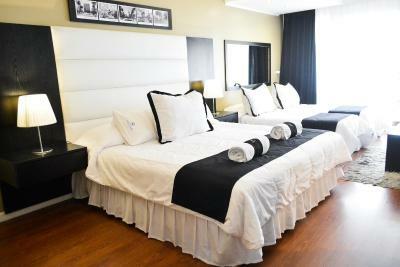 Lock in a great price for Pocitos Plaza Hotel – rated 8.8 by recent guests! 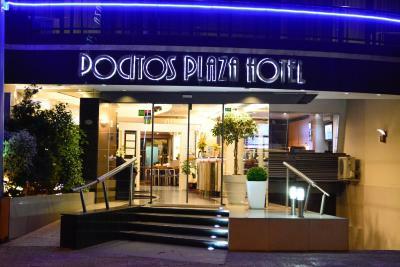 I have been going to Pocitos Plaza Hotel several times, is like my Place. 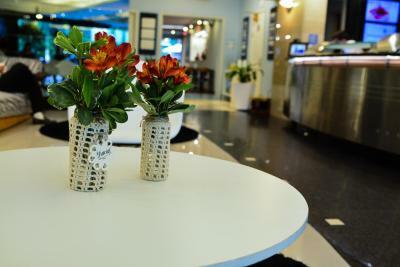 Everybody and everything is just GREAT, friendly staff, very helpful at all times. Patricia and Diego at the front desk were very friendly and helpful. The room size was great. Room 1002 but I think any room with 02 on any floor would be the same size. Felt very secure. We found restaurants in the area. Decent breakfast. 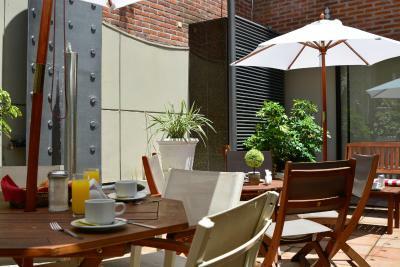 Nice location, close to the Rambla. Decent price. Staff, staff, staff. Extreme amability, great service. Room size. Bed. Balcony. Good breakfast. Extra tea with sweets at afternoon. Location, was perfect for us. Room was great. Nice bed, good bathroom (great water pressure in the shower). Good decorations in the room - can clearly see that there's some thought that has gone into making the room feel quite cozy (which it does). 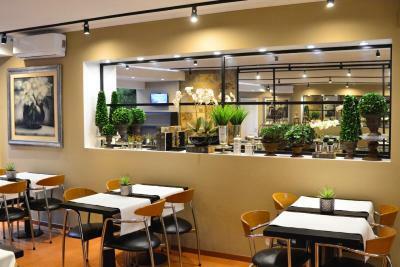 The property is located between Punta Carretas and Pocitos, close to the Punta Carretas mall, bus station to the downtown, restaurants and Rambla. It is possible to do everything walking. 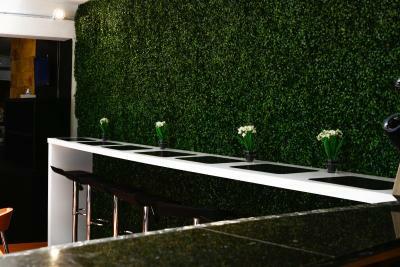 The staff is very friendly and always want to help you. The breakfast is delicious! 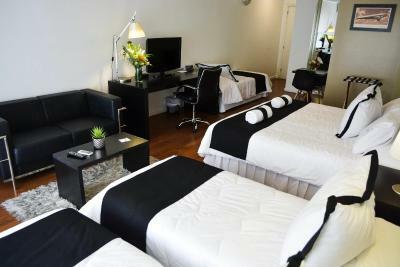 The room was bigger than expected, everything was clean, location was nice and safe and the staff was friendly. Incredible value for your money. Good room size...space for clothes...good breakfast w tomatoes. Near Rambla. 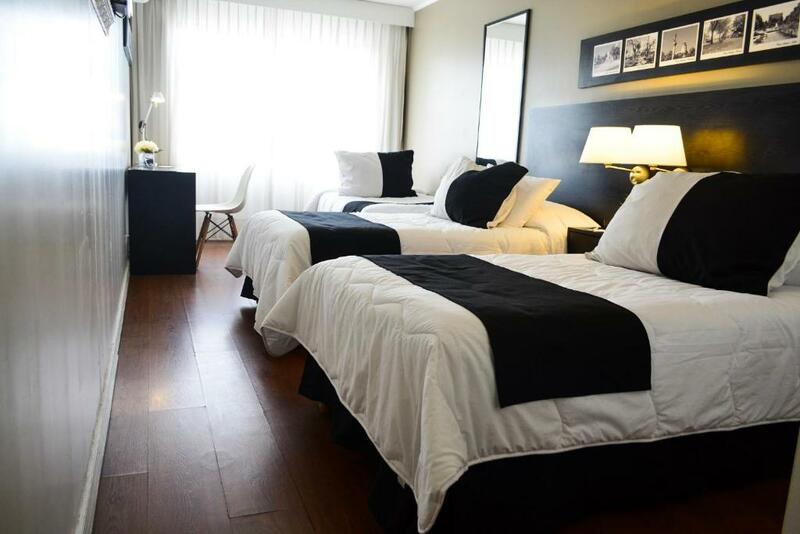 Pocitos Plaza Hotel This rating is a reflection of how the property compares to the industry standard when it comes to price, facilities and services available. It's based on a self-evaluation by the property. Use this rating to help choose your stay! 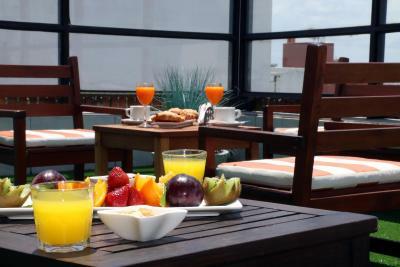 One of our top picks in Montevideo.Pocitos Plaza features accommodations in upscale Pocitos, just 5 minutes from central Montevideo and only a quarter mile from the beach. 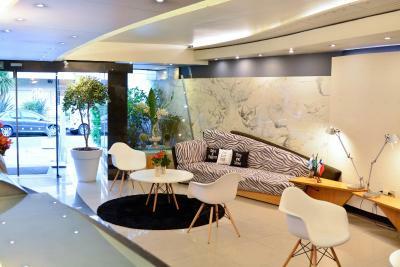 Free Wi-Fi is provided, and private parking is available for a fee. 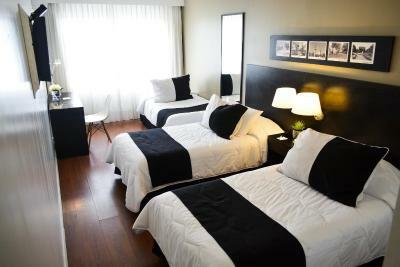 The air-conditioned guest rooms of the Pocitos Hotel feature comfortable beds and private bathrooms with a hairdryer. Some rooms have a balcony and a sitting area with a cable TV and a work desk. 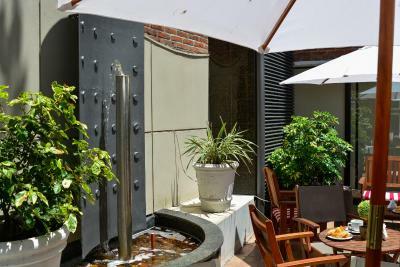 Facilities include a sauna and a solarium, a terrace and a bar, where guests can enjoy local drinks and socialize. 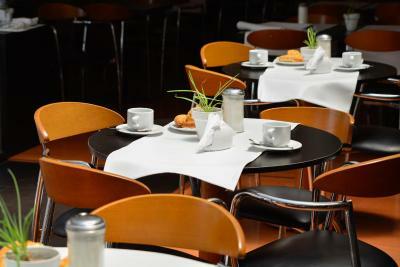 The hotels provides complimentary evening tea, "merienda", every day. Guests can enjoy walking on the Oceanside Boulevard, only 800 feet away, where they can explore many eating and shopping options. Pocitos Beach is only a quarter mile away. Punta Carretas is a great choice for travelers interested in food, tranquillity and coastal walks. 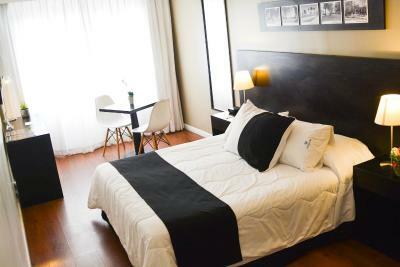 This is our guests' favorite part of Montevideo, according to independent reviews. 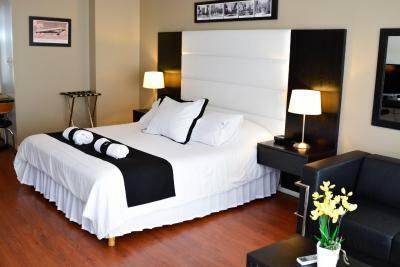 When would you like to stay at Pocitos Plaza Hotel? 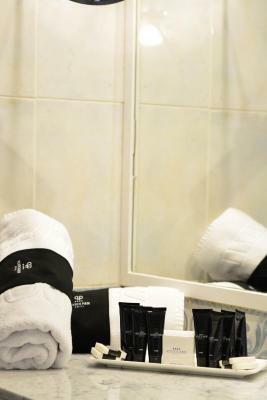 This room features one double bed, air conditioning, heating, minibar, laptop safe, desk, telephone, free Wi-Fi, and private bathroom with hairdryer and amenities. Public parking is available at a location nearby (reservation is not needed) and costs USD 14 per day. This room features one double bed, and one single bed, air conditioning, heating, minibar, laptop safe, desk, telephone, free Wi-Fi, and private bathroom with hairdryer and amenities. 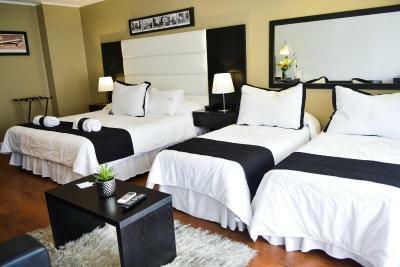 This suite features a king bed, a balcony with city views, LCD satellite TV, spacious bathroom with shower and hydro-massage tub, laptop safe, telephone, desk and free Wi-Fi. 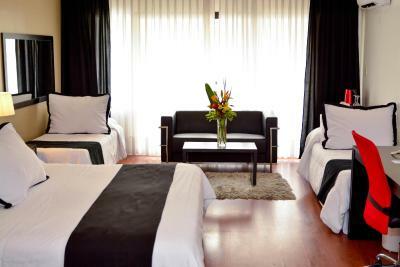 This suite features 3 single beds, a balcony with city views, LCD satellite TV, spacious bathroom with shower and hydro-massage tub, laptop safe, telephone, desk and free Wi-Fi. 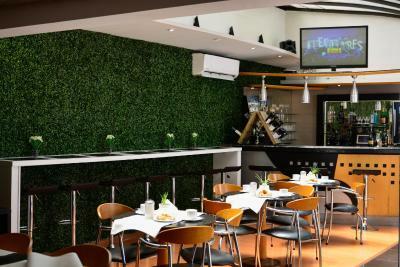 This room features 2 single beds, air conditioning, heating, minibar, laptop safe, desk, telephone, free Wi-Fi, and private bathroom with hairdryer and amenities. 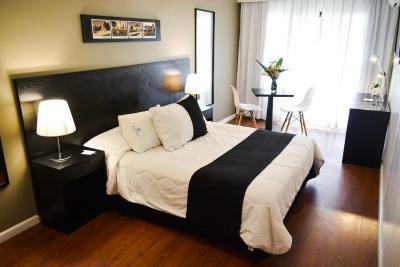 This room features 3 single beds, air conditioning, heating, minibar, laptop safe, desk, telephone, free Wi-Fi, and private bathroom with hairdryer and amenities. 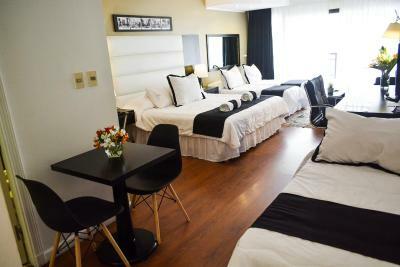 This suite is on the 10th floor and features a king bed, a balcony with city views, LCD satellite TV, spacious bathroom with shower and hydro-massage tub, laptop safe, telephone, desk and free Wi-Fi. 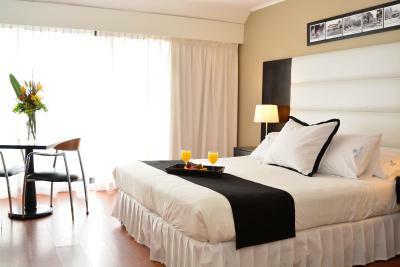 This suite features a king bed, a single bed, a balcony with city views, an LCD satellite TV, a spacious bathroom with a shower and a hydro-massage bathtub, a laptop-size safe, a telephone, a desk and free Wi-Fi. 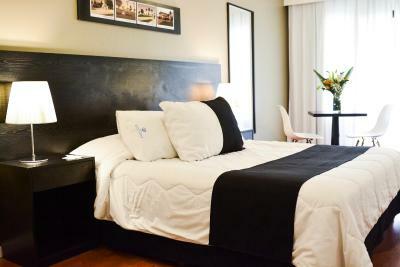 This quadruple room has a mini-bar, dining area and air conditioning. 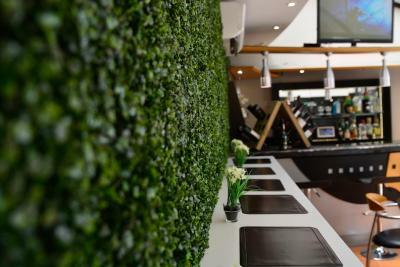 With a modern and refined design made by the designer Romulo Roquero the Pocitos Plaza Hotel stands as a tribute to the architectural spirit of the Pocitos neighborhood. 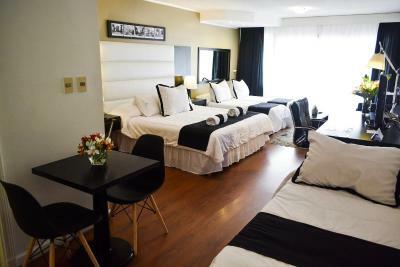 Our hotel is set in one of the most upscale areas of Montevideo, offering plenty of restaurants, coffee shops and shopping malls. 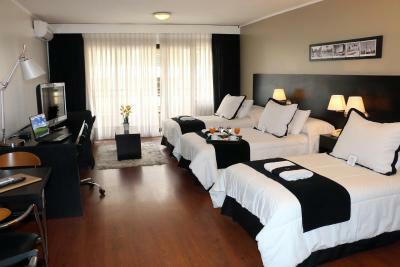 We are located just 150 meters away from the famous Pocitos beach and 5 minutes away from downtown Montevideo (by car). 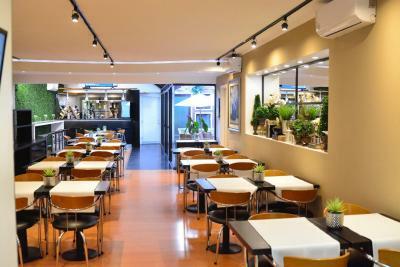 Hotel surroundings – This neighborhood is a great choice for travelers interested in food, tranquillity and coastal walks – Check location Excellent location – show map Guests loved walking around the neighborhood! 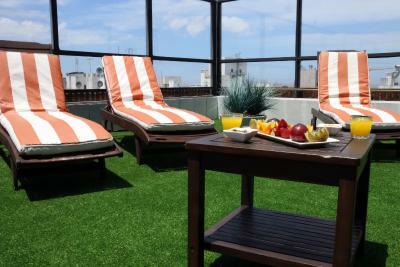 House Rules Pocitos Plaza Hotel takes special requests – add in the next step! Pocitos Plaza Hotel accepts these cards and reserves the right to temporarily hold an amount prior to arrival. Please note, half board rates include: breakfast + dinner (main course + desert). Drinks are not included. 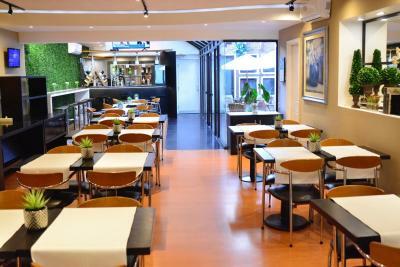 Dinner is served between 19:30 and 22.00 h.
The property was refurbished in 2013. The shower over the bath had a very poor flow. This hotel just needs a little more love (maintenance) to restore it to top condition. Superb value for money. Breakfast was included as was afternoon tea, coffee and cakes. 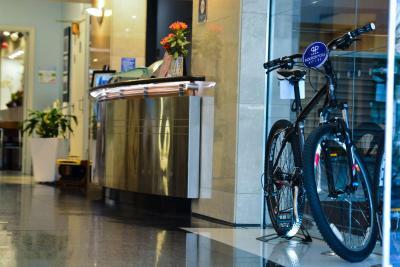 The hotel's bicycle hire was very convenient and the Trek bikes good quality. Would be useful to have somewhere in the bathroom to hang wet clothes. 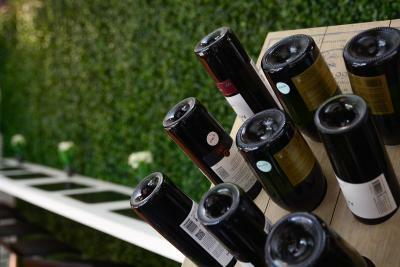 Not great soundproofing ... if you're a light sleeper then you may be irritated by people above and next door ... not necesarily making much noise ... just all very audible. Great location close to beaches, shops and restaurants. 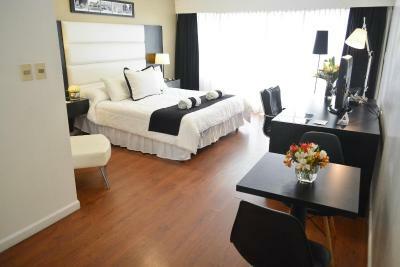 Comfortable spacious room and brilliant to have a balcony. Enjoyable breakfast and loved the afternoon tea and cake between 5.00 and 7.00 pm. Reception staff speak English. Good wifi. Felt safe as solo female traveller. 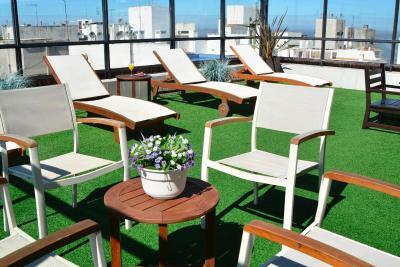 Good location 5 min walk to the beach in a quiet area of Montevideo. 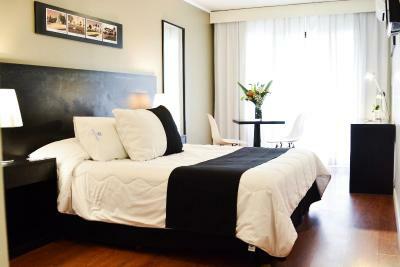 Rooms are nice, breakfast very good, we stayed twice in this hotel during our stay in Montevideo. 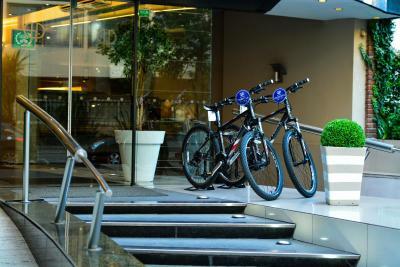 Parking not included on reservation, too much noise in there room. Bed and room are great. No need to upgrade to penthouse. The view was awful and the terrace we did not use. Too hot and the chaise lounge was ripped and unusable. Breakfast ok but the same every day. The room was bit pokey but thats it. Nothing extraordinary...bad relationship price quality. Urban normal views from rooms, with buildings around. Nothing really bad but the only thing to mention in this topic.